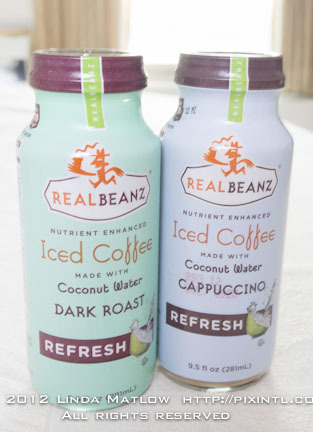 Realbeanz- The Best iced Coffee we've ever had! So it's Friday and it's storming out and we've had to shut the computers down every few hours which always means working into the wee hours of the night.It's too hot and humid to think hot coffee,so we have our refrigerator stacked with 'nutrient enhanced' RealBeanz iced coffee.It's made with coconut water and the Dark Roast and Cappuccino are absolutely delicious and healthy! Drink it straight out of the bottle on the go or in your best glassware with ice,whipped cream and consider it a quick dessert.It's delicious and impressive! Perfection In Every Bottle. Guaranteed. RealBeanz® believes that an iced coffee beverage should do more than just satisfy your taste buds – it ought to help you get through the day and enhance your lifestyle without subjecting your body to harmful chemicals or unhealthy ingredients. Whether it’s powering up with energy-infused herbs or slowing down with relaxing floral extracts, RealBeanz® utilizes a blend of 100% natural ingredients in a flavorful coffee blend that’ll help brew the lifestyle you desire. We know that you’re seeking coffee-based beverages that are big on flavor, high on quality and perfect for your health-conscious lifestyle. So grab a cold bottle of RealBeanz® and let’s drink to good health and great flavor… one savory sip at a time! One small bottle. So many big benefits. Most importantly, RealBeanz® came about as the result of a successful collaboration between a team of experienced industry professionals including senior food chemists and R&D technicians to ensure that it remains a winning product for customers just like you. Best of all, RealBeanz® delivers flavorful, indulgent coffee experiences without making you feel guilty about ingesting unhealthy or calorie-jammed beverages. That’s because every RealBeanz® beverage is designed to improve your health and mind-body experience… with every single sip. Casino Jobs- openings in Illinois! I've heard it's the dream job for many..working in a casino! Rivers Casino in Des Plaines Illinois has a few positions open. Register Today for an Early Morning Photo Safari to the Carrie Furnace! Explore it in the early light of day on this special morning adventure! Carrie Furnace is one of Pittsburgh's greatest historic sites of the industrial age. The structure and surrounding area are normally off limits to photographers, but Silver Eye has been granted special access to the site. Through general and one-on-one instruction, further your knowledge of composition, quality of light, exposure, high dynamic range, and panoramas. *Please bring with you: a d-SLR and a tripod, comfortable walking shoes, and weather-appropriate clothing. 2. Register by phone by calling 412-431-1810. Not sure what class or membership level is right for you? Please call Richard Kelly at 412-431-1810 ext. 11 or email rkelly@silvereye.org to discuss your needs and questions. Final days for the Fellowship 12 Exhibitions @ Silver Eye! Stop in for the Final Days of the Fellowship 12 Exhibitions! will close on July 17th! The exhibitions of the Fellowship 12 competition winners, Akihiko Miyoshi and Isa Leshko, are in their final days, so stop in to the Silver Eye gallery to view these fantastic photographs. 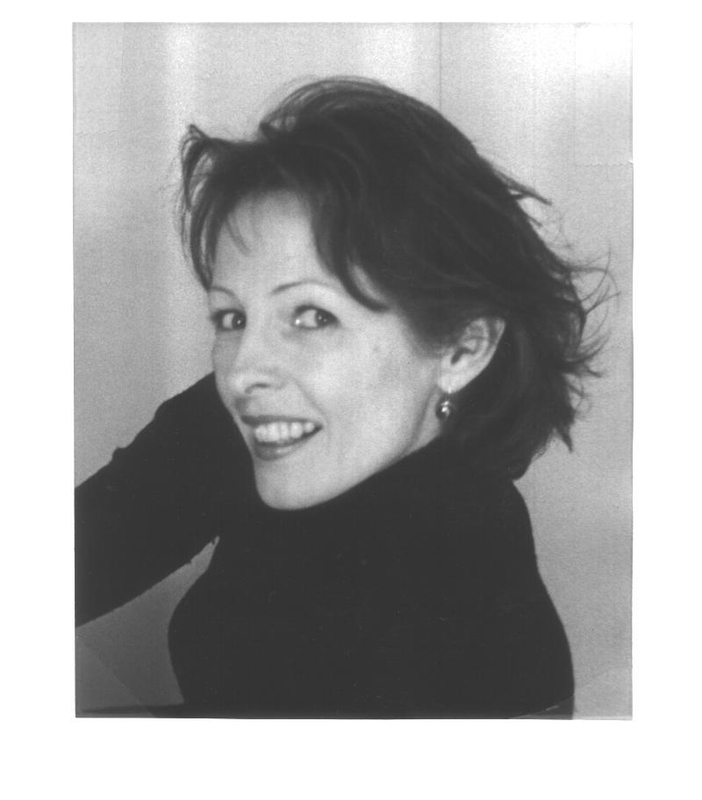 The competition juror this year was Julie Saul, the distinguished owner and director of Julie Saul Gallery, New York. The Fellowship 12 Exhibitions and winning artists have received much appreciation throughout the city. City Paper's Robert Raczka comments on Miyoshi's use of props and visage as a "pervasive postmodern pursuit of the playful." Likewise, the Pittsburgh Tribune and Pittsburgh Post-Gazette offer fascinating views on both artists featured in our Southside gallery. , the only national breast cancer organization focusing on the prevention and early detection of breast and ovarian cancer in young women while providing support for high risk individuals. While breast and ovarian cancer are often regarded as female-specific issues, Real Men Drink Pink seeks to create a larger, community-wide conversation about these critical health topics with the help of notable Chicago “Real Men,” and some of the city’s top dining destinations. As a tribute to his mother, who he lost to breast cancer in 1985, BIN 36 Wine Director Brian Duncan created Real Men Drink Pink to raise awareness for the issue by utilizing the power of Chicago’s hospitality industry and through his own area of expertise – wine. Paying homage to the signature “pink” color that symbolizes breast cancer awareness initiatives nationwide, Chicagoans are invited to raise a glass of everyone’s favorite blush beverage – rosé – to support the cause this August. Beginning on August 10 and running through August 17, the following restaurants will feature $10 rosé glass pours on their beverage menus in honor of Real Men Drink Pink: avec, BIN 36 (featuring a signature BIN 36 rosé flight), Boka, Frontera, Naha, NoMI, Publican, Rockit, Sunda, Telegraph, Topalobampo, and Webster’s Wine Bar. All Real Men Drink Pink rosé product will be generously donated by distribution partners, with 100% of all proceeds benefitting the Bright Pink organization. 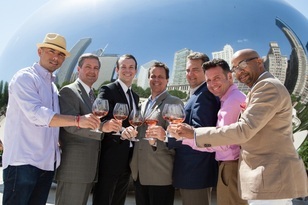 In addition to the support of Chicago’s top restaurants, Real Men Drink Pink is also backed by some of the city’s leading Real Men, including: Chef Rick Bayless, WLS Radio Host Roe Conn, CEO and Founder of Rockit Ranch Productions Billy Dec, ABC 7’s “Hungry Hound” Steve Dolinsky, BIN 36 Wine Director Brian Duncan, Mayor Rahm Emanuel, Chicago Bears Kicker Robbie Gould, Time Out Chicago Group Publisher Randy Hano, Chef Paul Kahan, One Off Hospitality Partner/Owner Donnie Madia, Check Please! Owner David Manilow, Naha Owner Michael Nahabedian, and Media Personality Richard Roeper. Profiles and exclusive photos of the Real Men showcasing their support for the campaign will be available on BIN 36’s social media pages. for updates, information, and profiles of the Real Men leading up to and throughout Real Men Drink Pink week. Guests are encouraged to visit participating restaurants’ websites for hours and reservations during Real Men Drink Pink week, as well as share their Real Men Drink Pink experiences with friends using #RMDP on Twitter and via the Raved app. Since December 1999, BIN 36 has brought unpretentious and accessible wine and cheese experiences, and seasonal new American cuisine to the forefront of Chicago. Located in the River North neighborhood, the restaurant offers a rotating selection of wines by the taste, glass, flight, or bottle, along with a distinctive list of 60 bottles handpicked by Wine Director Brian Duncan. Executive Chef William Hewitt oversees the contemporary American menu and sourcing of the 38 artisanal cheese selections available at the Cheese Bar and throughout the restaurant. A destination for wine-loving locals, area business professionals, and visitors alike, BIN 36 serves as the ideal spot for a quick lunch, an after-work wine flight and snacks, or a full-service dinner experience. Yes! I want to support Life Force Arts Foundation, a non-profit, tax exempt 501(c)3 organization that advances the field of spiritual art. Drumming is often called the heartbeat of Mother Earth. Drumming has been shown to alter human brainwaves to an elevated state, reduce stress, speed healing, and just be plain fun. Whether you have never played a drum before, have been drumming for years, or are somewhere in between, come join us for this open drum circle. Drums of any kind, as well as shakers, tambourines, bells, sticks, vocals, body percussion, etc. are very welcome. Some instruments will be available to borrow. If you want to drum in the security of a group and perhaps try out some solo skills, this is a perfect place to do so! Learn the ancient shamanic journey meditation: traveling to the spirit realm to gain wisdom and healing from angels, ancestors, totem animals and other helpful spiritual beings. Learn about shamanic cosmology, the history and ethical basis of shamanism, and the ways shamanic practice applies to the modern world and to healing the web of all life. No previous experience necessary. Required reading:Singing The Soul Back Home by Caitlin Matthews. Shamanic Journeying is one of three seminars in Joan Forest Mage's Foundations of Shamanism Course. You can start the Course with any of the three seminars. The Foundations Course is the first of five levels (Courses) of the full Shamanic Training Program. Please note: Joan will be teaching Foundations of Shamanism, the introductory series of seminars of her Shamanic Training Program, on June 24, July 14 and August 12, 2012. After that, the next time Joan will offer this Course is Fall 2013. This means that, after this summer, no new students will be able to start the program till Sept. 2013. This performance features overlapping layers of sound healing modalities, including Himalayan singing bowls, ganta bells, ting shaws (cymbals), gong, and mantra. The instruments are made by Tibetan monks both as a method of healing and as meditation instruments, as part of a highly symbolic spiritual process using an alloy of at least seven metals, including pure steel from asteroids that hit the world's rooftop in the Himalayas. They are formulated by the monks to work on many planes of our multidimensional being and can facilitate emotional catharsis, the release of blocked energies, and healing from the physical to spiritual. They sound beautiful with primary notes and layers of overtones. Mantras are words of power that use the primal creative force of sound as primal emanations for affecting any facet of our universal experience. Together the instruments and mantra can function on many levels for profound effect. 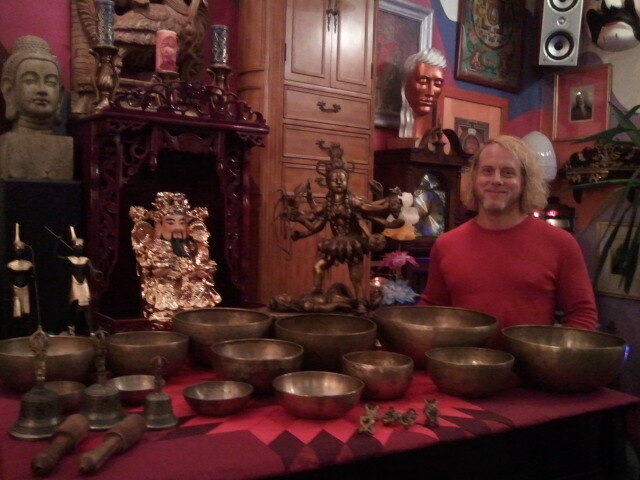 Edward Farnham has studied numerous spiritual and healing techniques, including Himalayan bowls and sound healing with Richard Rudis, and mantra with Thomas Ashley-Farrand and his wife, Margalo or Satyabhama, two of the world's foremost experts on Hindu mantra. 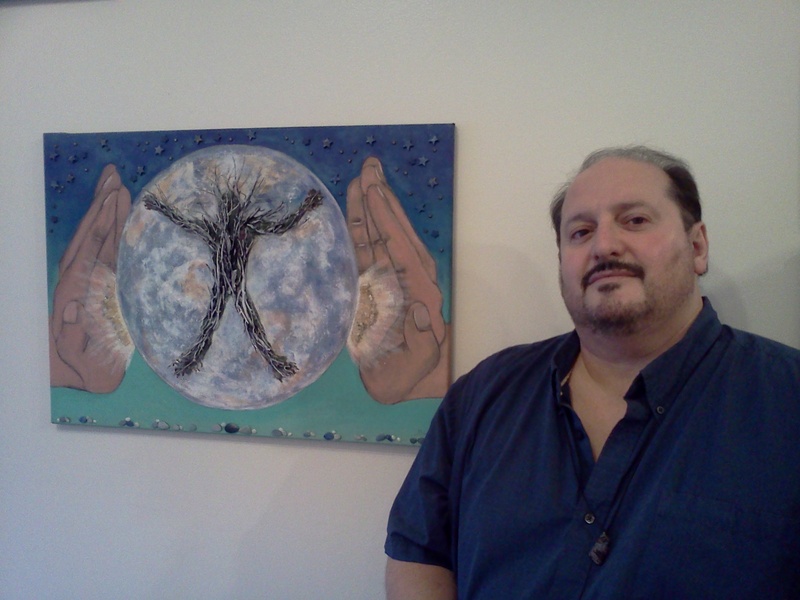 Edward is a singer with the Chicago Gay Men's Chorus (www.cgmc.org) and a painter who attempts to use the creative force as a vehicle to the divine. The Temple of Isis Sekhmet presents a rite designed as a ritual of encounter with Ra, to partake of his power for personal and Earth healing. Ra is a universal god honored by all nations: the hieroglyph that was used by the ancient Egyptians for Ra is the same hieroglyph used by many Native American tribes for Great Spirit. The rite will be led by Ankhnemtira (Kiel Milner), who has been an ordained pagan priest for thirty years. Shamanic performers Joan Forest Mage and Barry Bennett will perform music and dance as part of the rite. All are welcome. Potluck feast and fellowship after the ritual. Read Liz Baudler's interview with Tatiana in LFAC's Transcendent Journeys ezine. Joe Polise's Language of Astrology seminar series covers the building blocks of the astrological language. This series is ideal for students who have a basic knowledge of astrology, but need to review the core concepts of planets, houses, signs and aspects. You can register for each seminar in this series separately, and take the seminars in any order. Language of Astrology: Houses looks at the 12 astrological houses from a number of different perspectives, with an emphasis on how to "read house cusps" and how each planet works in the 12 houses. Many example charts will be provided. Also, bring your own charts for self-study! We will learn from our own charts and those of our classmates. There will be a 30 minute lunch break - bring your lunch, or buy in an area restaurant. Thank You from The Dinner Party!